The Saskatoon Blades want to invite your girls team to our "Girls Rock" Night. This night will be Friday November 25th against the Brandon Wheat Kings. There will be a speaker talking to the girls teams that come out in the stands at 5:30. The package is 20 tickets (16 Kids, 4 Adult) for $100, and any tickets on top of that are $17 per ticket. The Blades organization would love to pack the stands with as many girls teams as possible so please see if your team is interested and take advantage of this great offer! 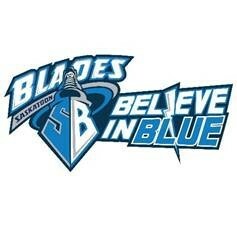 For tickets and any other information please contact Haiden at the Saskatoon Blades office (See info below).